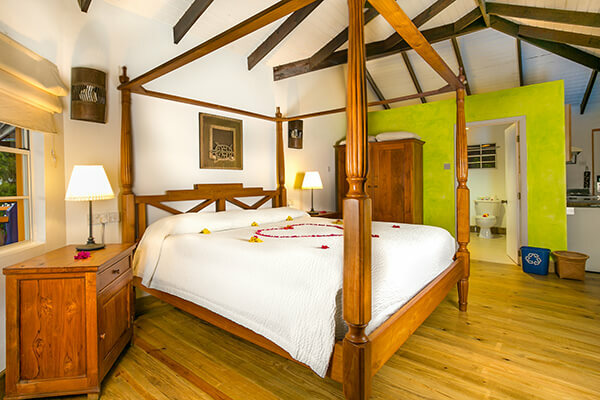 Conveniently located on the beautiful waters of True Blue Bay on Grenada’s Caribbean South coast, this hotel is the ideal holiday destination for a South Seas experience. 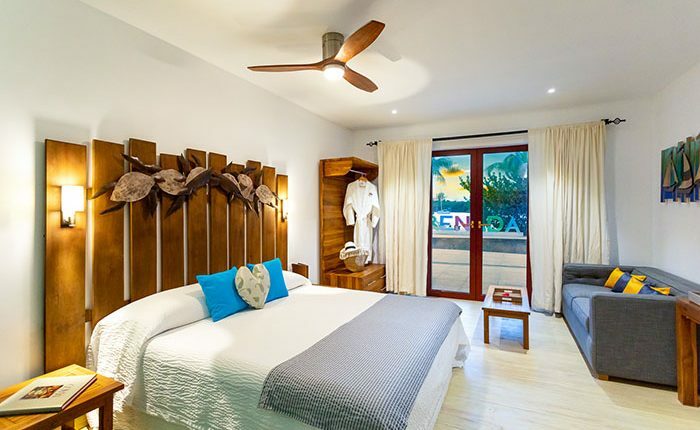 Commanding exquisite views of the south coast of Grenada where the Caribbean Sea and the Atlantic Ocean meet, it is just a short distance to the best golden sand beaches, waterfront restaurants, shopping centres, banks, and the airport. Links to public transport are around 1 km away. This family-friendly hotel is a special West Indian hotel set among tropical gardens that slope gently towards the sparkling blue waters of True Blue Bay. The unique design with tree trunk columns and exotic Caribbean flowers in every corner make it a truly tropical paradise. A total of 31 rooms are on offer and amongst the facilities count a foyer with a 24-hour reception desk, air conditioning, a safe, a currency exchange desk, conference facilities, Internet access, and a bicycle hire service. Moreover, there is a newspaper stand, 2 bars, a playground with playroom, and laundry services to take advantage of.